Hall, Starr. Angel Food. Cambria. Simple Angels. 1996. Octavo. Hard cover. First edition. Illustrated in black, white and color by Mari M. Robeson. Fine copy in very good (worn spot on rear panel) dust jacket (in mylar). Hancock, F.E. The Last Fairy. Douglas. Fantasy Pub. 1983. 4to. Hardcover. First edition. Illustrated in color and black & white. Fine copy in near fine dust jacket (in mylar). Handel, George Frideric and Barry Moser. Messiah. The Wordbook for the Oratorio. New York. Willa Perlman. 1992. Octavo. Hard cover. First edition. Illustrated in black, white and color by Barry Moser. Fine copy in fine dust jacket (in mylar). Hansen-Smith, Bradford. The Hands-On Marvelous Ball Book. New York. W.H. Freeman. 1995. 48 pps. 4to. Hardcover. First edition. Illustrated in color and black & white. 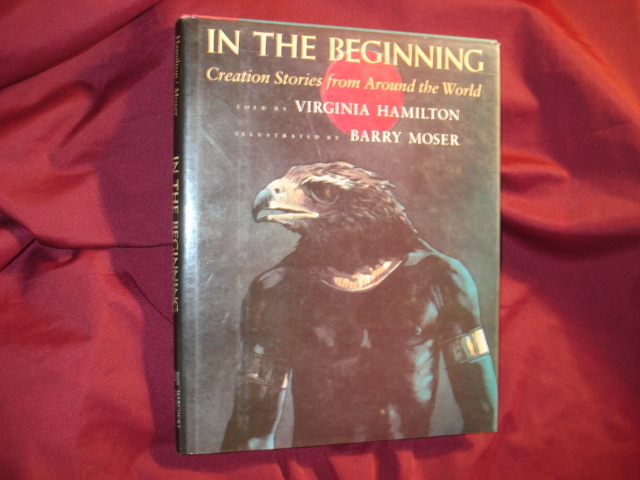 Fine copy in near fine (closed tear on fore edge) dust jacket (in mylar). Harness, Cheryl. Ghosts of the 20th Century. New York. Simon and Schuster. 2000. Octavo. Hard cover. First edition. Illustrated in black, white and color. Fine copy in fine dust jacket (in mylar). Hart, Tony. Michelangelo. Famous Children. Hauppauge. Barron's. 1993. Octavo. Soft cover. Illustrated in color and black & white by Susan Hellard. Fine copy. Hart, Tony. Toulouse-Lautrec. Famous Children. Hauppauge. Barron's. 1994. Octavo. Soft cover. Illustrated in color and black & white by Susan Hellard. Fine copy. Hartman, Bob. The Easter Angels. Oxford. Lion Pub. 1999. Octavo. Hard cover. First edition. Illustrated in black, white and color by TIm Jonke. Fine copy in fine dust jacket (in mylar). Hartwick, Harry. Farewell to the Fairvox. New York. Four Winds Press. 1972. Octavo. Decorated hard cover. First edition. Illustrated by L.B. Ohlsson. Fine copy in very good (light shelf wear) dust jacket (in mylar). Harvey, Jane. Chester the Mouse. Look and Find Book. London. Princess House. 1990. 4to. Decorated hard cover. First edition. Illustrated. Fine copy. Harvey, Jane. Chester the Mouse. Opposites Book. London. Princess House. 1990. 4to. Decorated hard cover. First edition. Illustrated in black, white and color. Fine copy. Haskell, Arnold. Felicity Dances. A Children's Tale About the Ballet. London. Thomas Nelson and Sons. 1938. 167 pps. Octavo. Hardcover. Reprint. Illustrated. Near fine copy. Very light browning to spine.